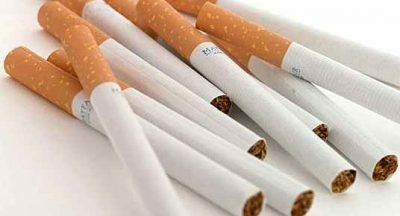 Rustenburg – A 42-year-old man was arrested at Kopfontein border post between South Africa and Botswana for allegedly smuggling R17 million worth of counterfeit goods into the country, North West police said on Thursday. Police spokesperson Captain Sam Tselanyane said the man was arrested on Tuesday. “It is alleged that on Tuesday, 11 September, at about 22:15, a truck arrived at the border’s searching point. “According to information received, the member who was on duty went to notify customs officials about the truck. The member realised when he returned that the truck driver drove off without permission and a chase ensued. 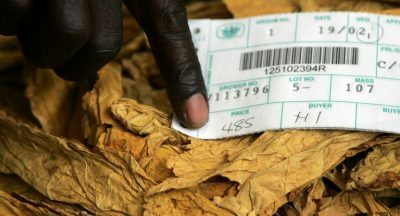 The truck was stopped about two kilometres from the border and redirected back to the border for further verification of goods that were in transit,” he said. 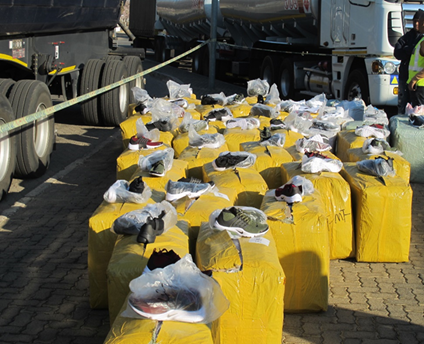 Two trailers were fully loaded with 200 boxes of counterfeit footwear with an estimated value of R17 million.